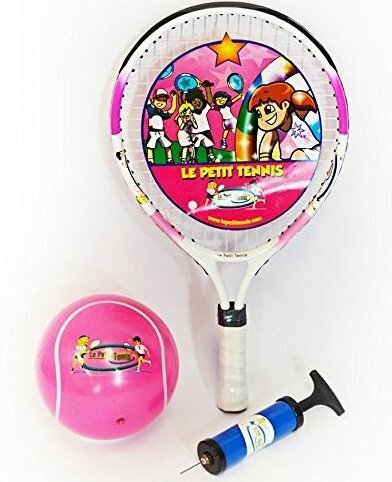 Le Petit Tennis Racquet for Ages 2-3-4 in Pink + the fantastic Pink My First Tennis Ball. Super Light Graphite-Aluminium racquet + Rubber-PVC inflatable ball 6" (15cm). The Award winning My First Tennis Ball is a European Best Seller (pump is included). The bundle Racquet + ball will allow your child to succeed immediately. To be used with companion "My First Tennis Lessons" booklet series from Le Petit Tennis.